Circe lures Ra's Al Ghul and Lex Luthor to 'The Great Ruins' a cavernous hideaway far below the surface with her enchantments. She reveals to them The Pandora Pits, with the power over creation and destruction deep within them. If they can master the pits magic, they will have dominion over all they survey but the pits themselves looks into the three villains and created a composite Wonder Woman/Batman/Superman for them to defeat. Joining forces they manage to best the monstrous creation but only by joining forces to defeat it. Lex decides against using the pits and Ra's is all too familiar with the magic of a pit. Circe however reveals a carving in the cavern showing Lex, Ra's and Circe fulfilling their destiny - whether they like it or not. 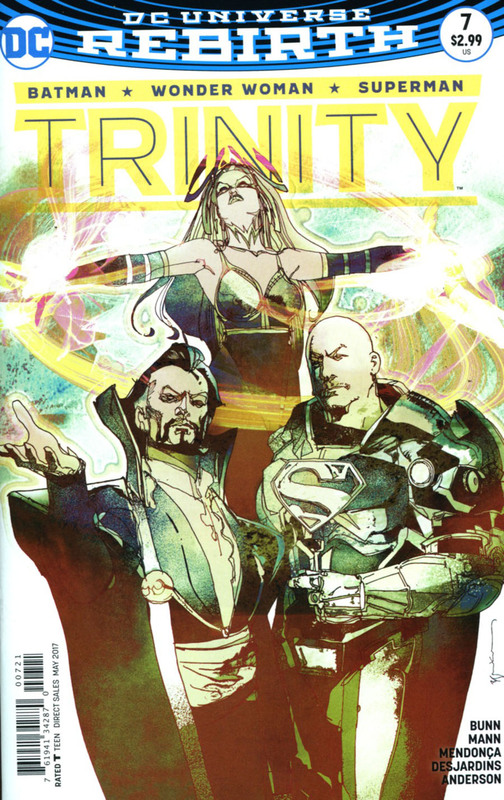 Story - 5: Rare to see Lex, Ra's and Circe take centre stage and with them taking the stage we really get a story that explores the very opposite of the Trinity. Each of the villains in turn has quite a lengthy lead in that affords a really good look into each of them. Throwing them together adds another dimension, not only to each of them but how they work together (which villains rarely do... successfully). I think Lex showed the most surprising facets to his personality and he really shone through, of course Ra's was not to be ignored either. Circe is the glue in the Trinity and I look forward to seeing how Bunn explores that bond moving forward. There was also the mention of Pandora, considering her role in the New 52 could there be more to this story? Art - 5: What a difference! A different writer and different artists completely alter the flow of the book. If this had been during 'Better Together' I think I would feel differently but this team clearly know what they're doing and there is a dark tone in both story and art. The fight against the composite Trinity looks brilliantly rendered, I actually thought the creature was a great concept and hope it returns someday! Cover Art - 5: Just like the interior art the cover is very compelling and urges you to 'dare to read' it. I would love to see this without the fontography overlaying it. Variant Cover Art - 4: A magic themed cover that is beautifully done but not as strong as the main cover. 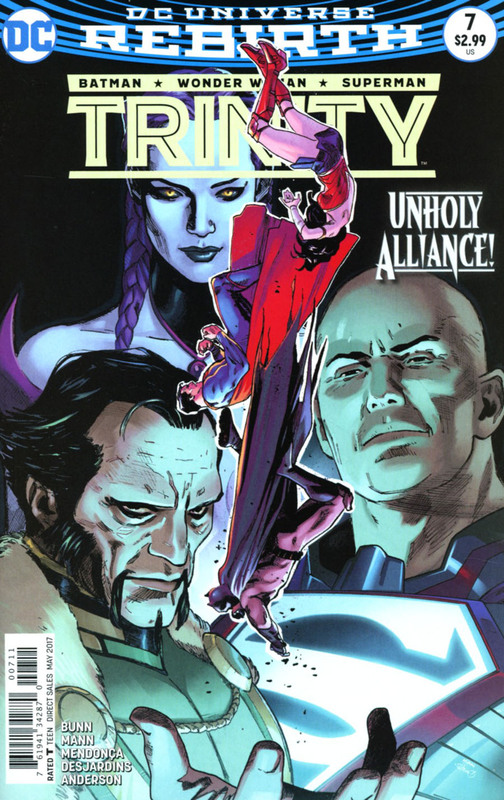 The main cover pushes the character angle instead of this ones focus on powers.